Day two of baseball at home, and it did not go well. I guess the forty-three-minute rain delay should have tipped us off. Our hitters did alright; we can’t crush it every night, but five runs should be ample for a win. This time, both literally and figuratively, it was the pitching staff that dropped the ball. We went down in order in the first and almost did the same in the second. With two out, Nava worked a four-pitch walk and scored on a double by Salty. 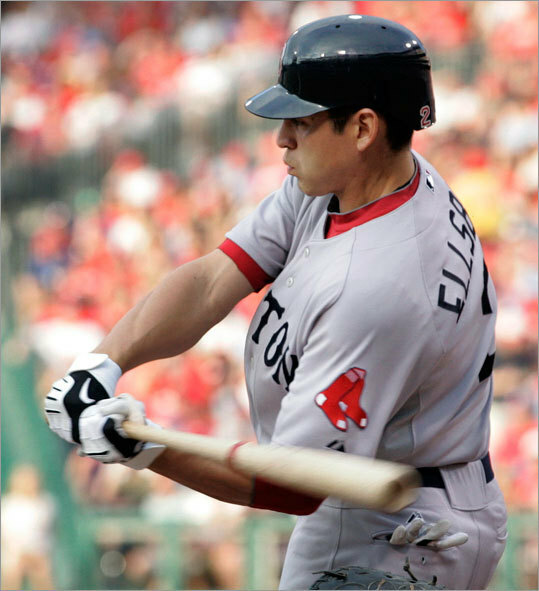 Bradley walked to lead off the third and scored on a triple by Ellsbury, who scored on a sac fly by Victorino. Salty doubled again in the forth, but we didn’t score. We went down in order in the fifth, and then we brought the power in the sixth. The Orioles made a pitching change for the sixth. Napoli and Middlebrooks both struck out swinging to start it off. And then homered on the third pitch to the opposite field. He sent it beyond the Monster. He took a curveball for a ball, fouled off a cutter, and unleashed on a ninety-six mile-per-hour four-seam. Then, it was double-take time. Salty came up. Four pitches. A curveball for a called strike, and then four straight four-seams. A ball, a swinging strike, and then a massive swing for a jack to right. Boom. And that was it. We went down in order in the seventh, eighth, and ninth. Baltimore’s relief corps was everything that ours wasn’t. Let me point out that Dempster was not the problem. His start lasted only five innings. If he’d pitched longer, the relievers wouldn’t have had to come out so soon. But it wasn’t even the entire corps’s fault. And when a starter’s time is up, his time is up. 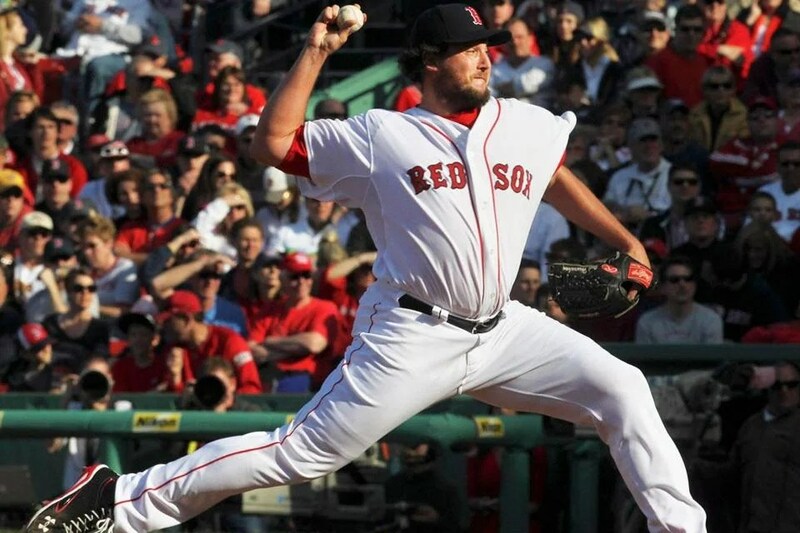 Dempster had thrown ninety-three pitches when he was pulled out. He had allowed three hits and three runs, only one of them earned; Victorino and Bradley both committed fielding errors. The one earned run was the result of a solo shot that opened the fourth. So, technically, he only made one mistake, and he was solid overall. He only issued two walks and racked up seven strikeouts. Uehara, Tazawa, and Bailey each pitched a shutout frame. But then Hanrahan happened. Allow me to paint the picture. Heading into the ninth, we were up by two. This was a prime save opportunity. Circumstances like this were designed specifically for closers because that’s what they do: they close the deal. So Hanrahan goes out there. His first three pitches are fouled off. Then he throws a ball and then another pitch that was fouled off. And then he gives up a solo shot. If that had been it, we still would have won. And it looked like that would be the case; Hanrahan picked up a strikeout and induced a popout. And then he gave up a single that led to a steal of second. And then he issued two back-to-back walks. At that point, he could have buckled down and gotten his next batter out to end the game with the victory intact. That did not occur. Instead, he threw a wild pitch that brought the tying run home. And then his next batter came up. And Hanrahan threw a ball. And then Hanrahan threw a mistake that resulted in a three-run home run that put Baltimore on top permanently. That was when Miller came in and got the strikeout that ended the inning. Hanrahan, quite simply, did not do his job. He was supposed to sustain the win. He was supposed to prevent damage. He was supposed to come in, have a one-two-three inning, and get out. And instead, he ended up with a well-deserved blown save and a well-deserved loss. Because he blew it and lost it for us. If it weren’t for Hanrahan’s terrible performance, we would have already been winners of the series. The final score was 8-5. And to top it all off, this was our first non-sold-out game since May 14, 2003. Well, the brass warned us that the end of the streak was imminent. Here’s to setting a new record and beating our old one. In other news, the B’s beat the Devils, 5-4. Yesterday we took in the Boston debut of Ryan Dempster. The difference between him and, say, Lester or Buchholz was unfortunately conspicuous. He just doesn’t have the same degree of skill, versatility, and adaptability that they possess. And as a result of that and of a subpar hitting performance (I would say mostly of a subpar hitting performance since we should have been able to score enough runs to cover those that Dempster gave up), we suffered our first loss of the season. Unfortunately, we knew it had to happen sometime. I wish it didn’t happen against the Yanks, least of all in New York, but at least we won the series! Dempster tossed five innings and gave up three runs on five hits while walking four and striking out eight. We should have been able to figure out that things wouldn’t go exceptionally well for him when he walked his first batter of the year. But two groundouts later, he got out of the inning one-two-three. Dempster opened the second by giving up a single. Following two quick strikeouts on a total of seven pitches, he gave up a double followed by a single that brought in his first run. He then led off the third with a big mistake of an eighty-seven mile-per-hour fastball, which was hit out for a solo shot. Fortunately, that was it. He threw a grand total of 101 pitches and will obviously have to seriously work on his efficiency if he intends to stay on the mound for more than a little over half a game. His limited arsenal is also a pain point that will probably be more concerning as the season goes on. He threw only four pitches yesterday: both fastballs, a slider, and a splitter. His fastest fastball was ninety-one miles per hour, and while his average slider speed was eighty-four and his average splitter speed was eighty. A variation in pitches but also a wider range between his lowest and highest speeds would really help him confuse the hitters, increase his strikeout count, and decrease his walk count, which should also help with efficiency. His lowest pitch count per inning was thirteen in the fifth; his highest was twenty-nine in the fourth, and he threw around twenty in each of the rest. His release point was actually really consistent, but I still say that he’s going to have to work on his arsenal, at least refining the pitches he does through, and by extension his efficiency. Tazawa pitched the sixth, and Mortensen pitched the seventh and eighth, giving up a solo shot of his own to his first batter as well. As busy as our hitters were during the previous two games, we were silent for way too much of this one. Try the first six innings. Yeah. We didn’t cross the plate until the seventh. It was awful. We didn’t even have that many opportunities. We had two on in the first thanks to two singles by Victorino and Napoli, but Victorino was thrown out at home when he tried to score on a wild pitch. We went down in order in the second despite a single by Middlebrooks thanks to a double play. Basically the same thing happened in the third. Pedroia walked in the fourth on five pitches but it was a brief inning due to quick outs for the other three batters who came up. We went down in order in the fifth. Iglesias led off the sixth with a single but we went down in order after that. 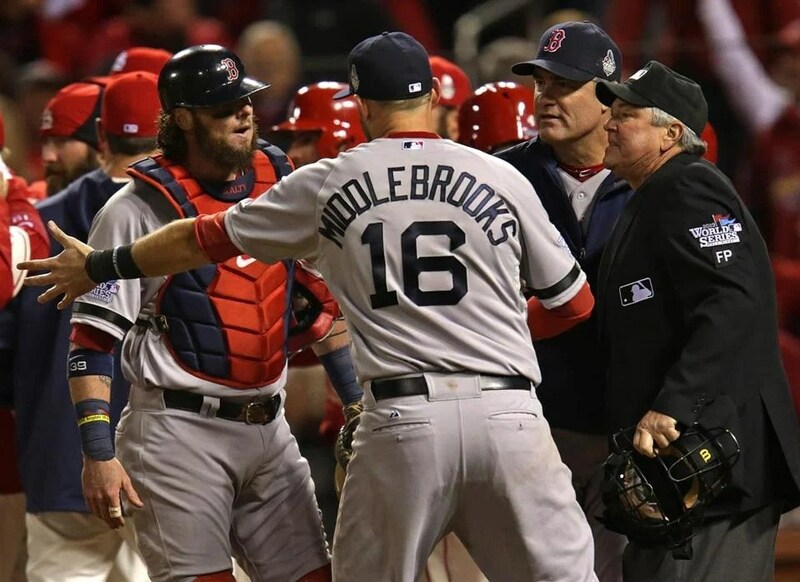 Finally, with two out in the seventh, Middlebrooks singled and scored on a double by Bradley. If only we could have made it into a rally; at the time, that run shrunk the deficit to two, and even though we were in the last third of the game, two runs is by no means an insurmountable lead. But Ross flew out to end it. At first, I thought it might actually be out. But it was just short and hauled in right at the wall. Then, of course, Mortensen gave up the insurance run, we went down in order in the eighth, and all we could muster in the ninth was a run on a groundout. Pedroia had walked on seven pitches to start the frame, and then Napoli flew out, and Gomes doubled, eliminating the double play option with two on. Pedroia came home when Middlebrooks grounded out, and the deficit was back down to two. And then Bradley came to the plate. He could have tied it with a home run. Instead, he was called out on strike three, and we lost, 4-2. In other news, the B’s narrowly bested the Devils, one-zip. The big news this week is that we’ve traded Scutaro to the Rockies for Clayton Mortensen. Make no mistake about this deal, folks. This deal was not for Mortensen. This deal was to dispose of Scutaro’s six million dollars in order to free up salary for a starter, possibly Roy Oswalt. So don’t think of it as a neat exchange; think of it as exchanging Scutaro for a to-be-determined pitcher, and Mortensen just happens to be there. Mortensen, a righty, as pitched in only twenty-four Major League games, thirteen of which were starts. He is four and eight with a 5.12 ERA but had problems with his command, which yielded a high walk ratio. With the Rockies, he posted a 3.86 ERA in sixteen appearances, performing better in relief than in a starter’s role. He’ll come to camp and fight for a spot just like all the other pitchers. Meanwhile, I’m more concerned with which veteran superstar we’re going to get. We’ve signed Bard to a one year deal and Ellsbury to a one-year deal worth upwards of eight million dollars. First of all, if we signed Crawford, who by the way just had wrist surgery, to as large a contract in terms of years as we did, Ellsbury deserves exponentially more than one year. Has he not proven that he’s worth it? I mean, if we’re going to play the long-contract game, we should at least play it responsibly. It’s ridiculous that we signed Crawford for as long as we did, and we only talked to Ellsbury about one year. Although he did get a nice raise; he’ll make twice as much this coming year as he has in his entire career to date, and he’s worth every penny and probably more. We’ve signed Morales to a one-year deal, and we’ve signed Vicente Padilla to a minor league deal, but according to Ben, he’ll come to camp as a starter. But don’t worry because it’s all good. Bobby V. spoke to Dice-K and saw a “good look in his eye,” so naturally all of our problems are immediately solved. Orlando Cabrera has decided to retire. We’ll never forget what he did for us in 2004. In other news, the B’s beat the Panthers in a shootout. We lost to the Bolts, beat the Devils, and lost to the Rangers in sudden death.